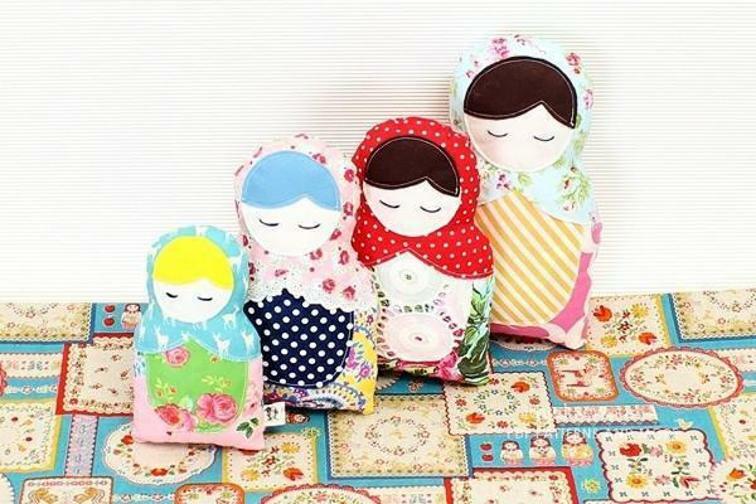 How adorable are these matroyshika dolls? 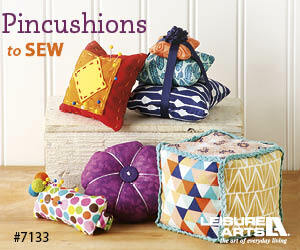 This is such a fun sewing project. Turning flat pieces of fabric into a 3d object is a fun way to teach sewing to a young sewer and what better project than one that creates a little playmate for them in the end. What really makes these dolls so incredibly beautiful is the color combinations of the scraps used. I could see making a little family of them as a gift to a little girl in my life or even adding a pouch of sand to the inside of one and turning it into a door stop. The pattern is for the medium sized doll which is 8.5 inches tall, but simply enlarging the pattern 120% or reducing it to 80% can turn it into 10 inch and 6.75 inch patterns. 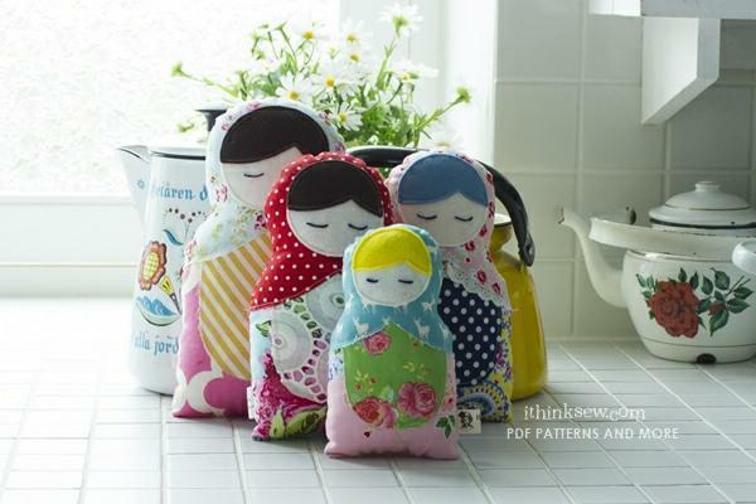 Potentially you could keep enlarging or reducing to create a large family of matroyshika dolls.